Barry M have recently launched some new palettes perfect for AW and I have been lucky enough to try two of them out. First up is the Starry Eyed Shadow & Blush Palette (Limited Edition)* which is £6.49 and available via ASOS here. Barry M present their shadows and blushes' in cardboard cases and I quite like this presentation method as it means all the colours you need are in one place and you don't have to have a million separate pots cluttering up your makeup drawer. They can get a little battered if you cart them around in your bag however! This palette consists of six eye shadows, a blush for your cheeks and two eyeshadow applicators. The six eyeshadow colours are divine! From left to right there is a warm tan matte shadow, a stunning midnight blue which is metallic, a rich terracotta matte reddy brown, a cool metallic golden shadow, a rich dark chocolate brown matte and the last shadow is a reddy brown shimmery shadow. At the end of the palette is a fab corally pink blush which is perfect for me as I am trying to move away from always wearing bright pink blushers. The pigmentation, as with most Barry M products is very good, it's well worth the £6.49 price tag and I will be experimenting with these colours over the next few weeks - watch this space for pictures in my future blog posts. The next palette I want to talk you through is the Natural Glow 2 Shadow and Primer Palette* which is also £6.49 and available via ASOS here. This palette consists of three matte shadows, three shimmer eyeshadows and a yellowish toned eyeshadow primer. The shadows are very pigmented, but also very soft and this can result in a bit of product fall out. Be careful that you keep the shadows away from the primer as the soft cream primer will attract specs of the eyeshadows. 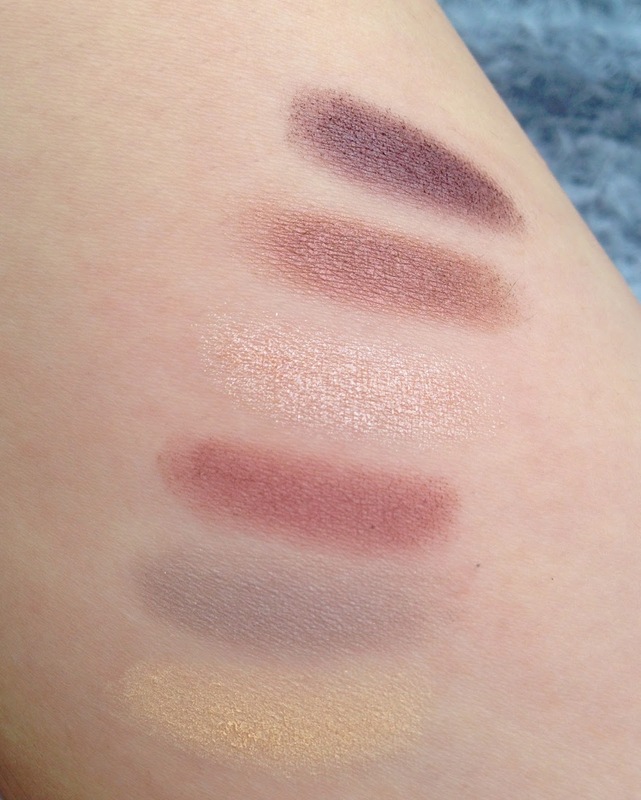 From left to right there is a matte yellow cream shadow, a matte light grey shadow, a matte minky mauve coloured shadow, a golden shimmer shadow, a shimmery mauve shadow and a shimmery red/purple brown. At the end is the primer and the yellow tones in this will help even out your complexion if you suffer with a darker eye socket. This palette also comes with two eyeshadow applicators and is the sequel to Barry Ms Natural Glow palette. This is a fab palette if you want to give eyeshadows a go but you aren't into bold colours. The neutrals will be perfect for day time use and you can build on the look with the darker jewelled tones for a night time look. 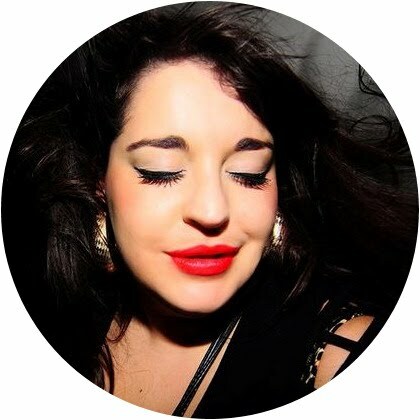 Well my friends I hope you found this post useful, let me know if you enjoy my beauty posts as much as my outfit posts - I want to try and do more of them as I adore beauty and skin care and I get quite a lot of questions about my routines so I thought I should try and share them with you all a bit more. I agree, I have no issues with cardboard palettes like these especially for something like eyeshadow that I wouldn't carry around and powder products don't start bleeding into the rest of the palette like lip products can. 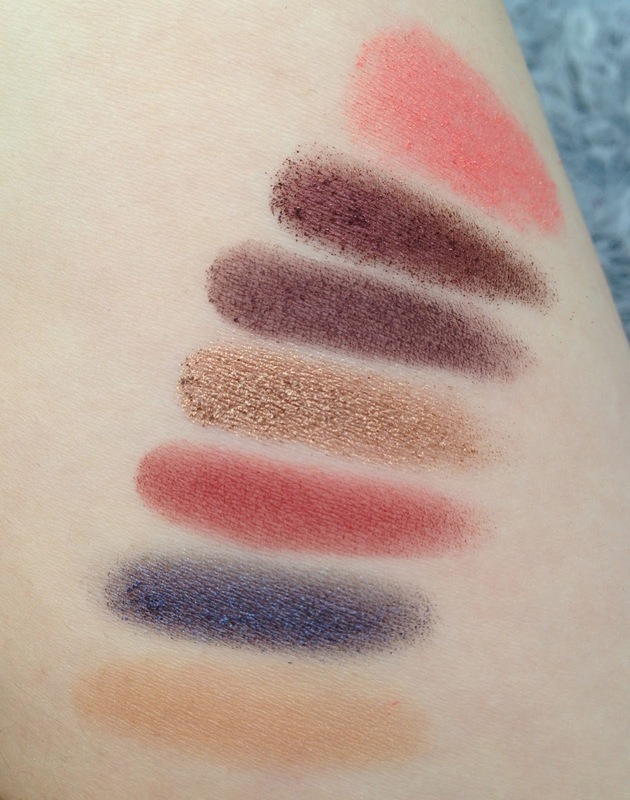 The colours in that first one are soooo pigmented and rich and the blush is just absolutely lovely. I've just ordered the Starry Eyed palette. Can't wait to play with it. It looks fabulous. Happy I could get it in Poland via internet beauty store.